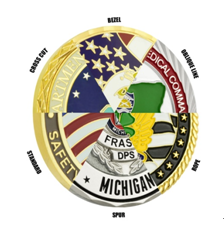 Do you know basic terms of challenge coin? Here are simple introduction about challenge coins terms you need know. It helps a lot when you buy challenge coin. 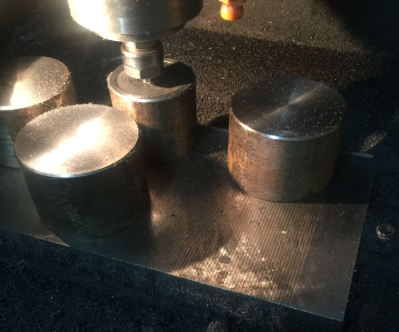 A coin die is the mold with confirmed blueprint that is used to produce coins, featuring with logos, images and words you want. It is a onetime and hardened metal stamping tool, can withstand the high pressures during produce process. You need to pay for it at your first order. And if you place re-orders within specified time, then no extra die changes is required. Standard challenge coins are made from brass metal if they are round shape. 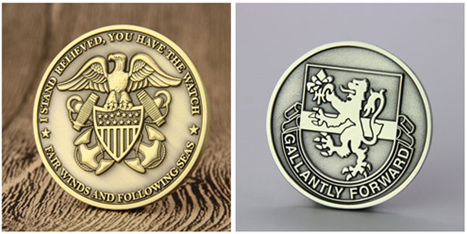 If a challenge coin has a special shape, then its metal material is zinc alloy. With special attribute, zinc alloy can be created in any shape. Coin size is means the diameter of the challenge coin. The most popular and standard sizes are 1.75”, and 2” in diameter. Coins in 1.75” to 2” are easily to carry and hold, and looks great on challenge coins displayed rack or box etc. 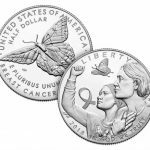 Any professional challenge coin maker can produce coins from 1. 5” to 3” and other sizes customers request. Coin finish is plating of the whole metal on the coin. There are 11 different finishes are available at GS-JJ. Gold, silver and brass are common choices, and you can choose antique finishes if you need antique charming. Besides, dual plating option is also a wonderful finish option you can make. Coin colors help us make the images on cheap challenge coins more impressive and vibrant. Normally, five colors or more can be filled on either side of your custom coins, standard color chart in details you can check online. 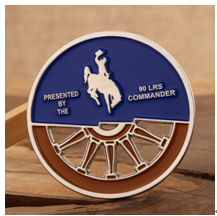 If you want, no color, one-side color or two sides color design on challenge coin are still acceptable. Coin edge is another attractive option for coin design. Standard edge, bezel edge, cross-cut edge, rope edge, oblique edge, spur edge are common edge options for any challenge coin. Some coin edges are used to make a diamond effect under the light. And some edges around the coin present special meaning for specified units and groups, such as rope edge. Cut out is a special treatment for any challenge coin. Cut out parts are usually shaped as the logo or special icons on the inner part. Sandblasting is used to make the coin stand out with sandblasting effect. Gold and silver sandblasting is more popular on custom coins. It is a clear coating on the surface of the coin, providing a smooth surface for soft enamel coin. Epoxy coating is mainly used to protect scratching and adding a covering layer to the surface. 2D or 3D coin? It ups to the image on surface. 2D coin features with 2D symbol or image, and 3D coin has raised images as vivid as the real one. 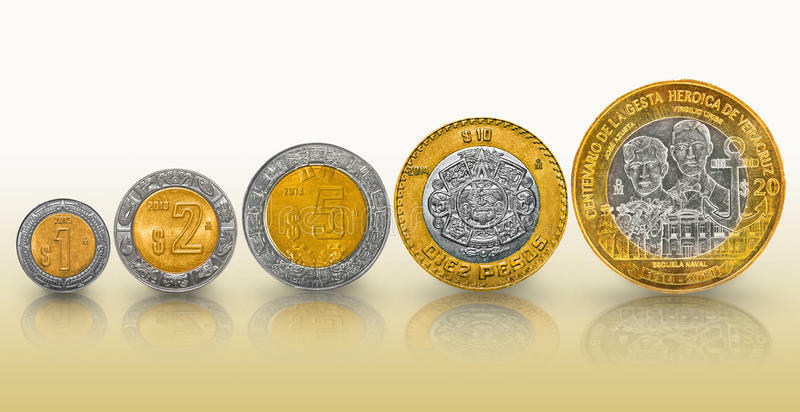 They are two popular types for custom coins, different crafts and process make them has different appearance. Recessed color areas and raised metal parts on soft enamel coin. And the hard enamel coin feature with flat and glossy surface. 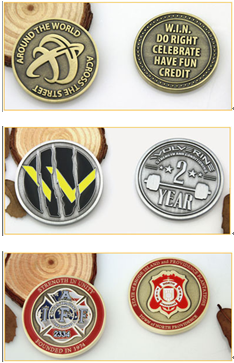 All of metal prizes, such as lapel pins, custom medals have same terms as challenge coins. You can refer to these above terms. tagrnfghh,Hi there, just wanted to say, I liked this article. It was helpful. Keep on posting!